The Garmin 60-series is the standard GPS used in most amateur rallies around the world. 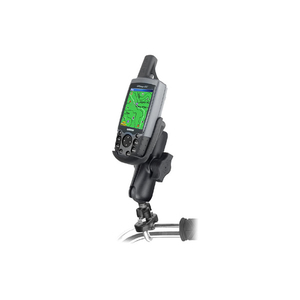 It's a rugged GPS that deserves an equally rugged and uncomplicated holder. The RAM Mount is just that. 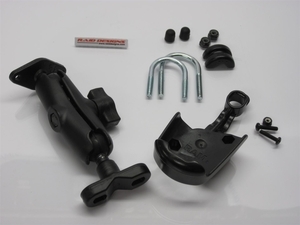 Infinitely adjustable and very durable with a D-loop mount to fit the handlebars or with loop removed, anywhere else. Low cost and high functionality, can't argue with that!